The festivities are on in full swing and many of ourBollywood celebrities – readKajol, Alia Bhatt and Sushmita Sen – are taking time off from their busy schedule to partake in the celebrations. 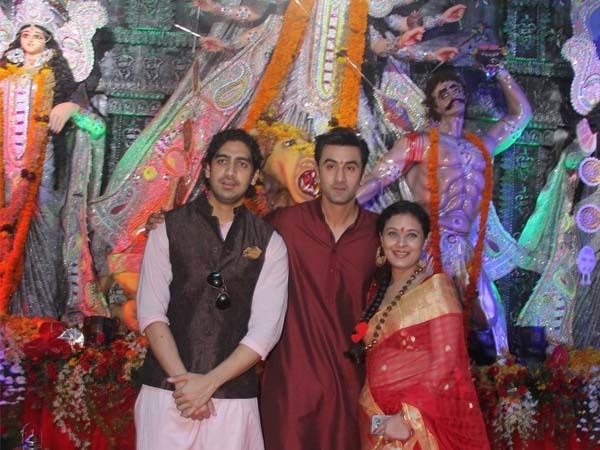 The latest actor to join the Durga Puja fervour is Ranbir Kapoor. Looking dapper in a maroon kurta, Ranbir celebrated Mahaashtami with director friend Ayan Mukerji in Mumbai last evening. Ranbir-Katrina’s Jagga Jasoos Release Date announced finally!